Google Pixel and Pixel XL are about to be introduced globally, so that we would know everything there is to know about them. But if something still remained to be known, it was in what colors they would appear on the market. It appears to be a very blue device, and whose new certificate confirms sale in Europe. The first news was known via information by @evleaks, as usual, when he published a high resolution image of Pixel and Pixel XL in silver and blue, the latter being the most striking choice. But if this were not enough, the US telephone operator Verizon has confirmed that there are three colors available (Very Silver, Quite Black and Really Blue) and two sizes for the internal memory (32 GB and 128 GB), although the link where it was said has subsequently been removed from its website, which also mentioned Google Magic, which seems to be a somewhat confusing way of saying that these two smartphones will be pure Google, but another probable hypothesis is that refers to the set of tools and integrated services the two smartphones will feature, as Google Assistant also present in Allo and unlimited storage platform Google Photos. 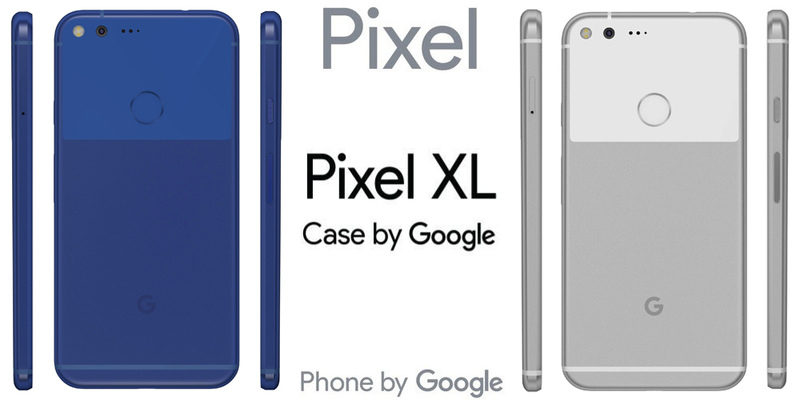 As for the geographical news, the brand "G Pixel Phone by Google" has been certified in Europe, and the image can be seen below, along with the "Case by Google" for Pixel and Pixel XL, a sign that the housings made by Google for the two phones will be available also on our continent. As for prices, both will be high end devices, but affordable compared to derivative financial outlay to buy other smartphones from the competition. Verizon page showed that the 32 GB version of Pixel could be offered with a contract for $ 199, which seems to indicate a cost of $ 649 for the free variant. For 128 GB version it grows to $ 299 (again by signing a contract) and Pixel XL, with the same amount of internal memory, even at $ 419.99. The most expensive model, therefore, could be worth $ 850 for those who choose the unlocked edition.